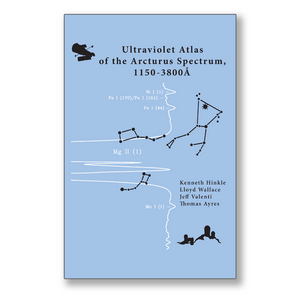 Special Offer: A Spectral Catalog of Arcturus. 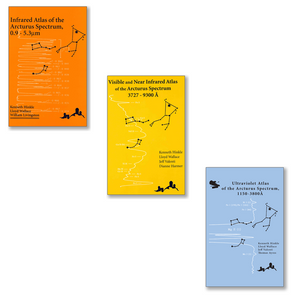 Purchase the 2005 and 2000 volumes and receive the 1995 volume FREE (see recommended products below). 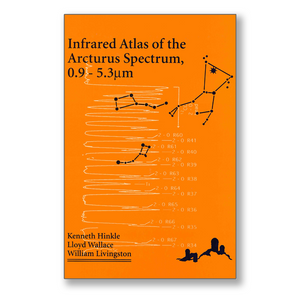 One of three volumes, the Atlas provides nearly continuous wavelength coverage from 1150 Å to 5.3 mm, giving astronomers a precise reference work applicable to multi-wavelength studies. Few types of data are more useful and important for precision spectroscopy than well-established and well-calibrated reference spectra. 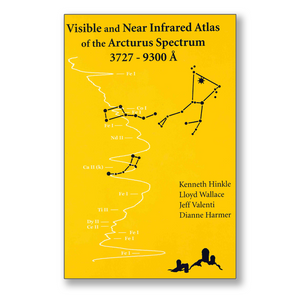 Using the KPNO 4m, the coudé feed and spectrometer, and the Hubble Space Telescope STIS, Kenneth Hinkle (NOAO) and collaborators have compiled a well-calibrated, digital spectral catalog of Arcturus, a traditional cool star standard.